It seems as if more varieties of electric vehicles are entering the market every day. Even as electric cars become more popular, they make up only about 3% of the American automobile market, most likely due to their higher sticker price. But would an electric car save you money in the long run? The fact of the matter is that it may take longer than you think to really see the savings. 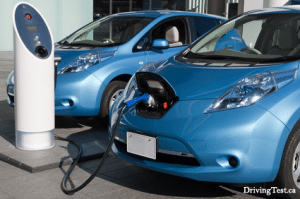 Despite not buying gas, the monthly payment for electric vehicles tends to be higher than the average consumer car, which cancels out any immediate savings. If the average consumer drives their car for six years, gas prices would have to rise to nearly $8 per gallon for the savings to become apparent. At their current rate, it would take nearly a decade to break even. However, there is a monetary psychological benefit. Many consumers are comforted by the idea that once the car is paid off completely, they have no ongoing fuel costs. The cost of running the car is bundled in with the vehicle itself. This gives many families the peace of mind for not having to budget fuel into their monthly budgets. There is also the environmental payoff. For many buyers of electric cars, the lowering their carbon footprint outweighs any overall savings. They would rather save the ozone layer than fill their wallets. Despite lower fuel usage, electric vehicles may not save you money. Like with any major purchase, it’s important to analyze all factors both financially and environmentally before you buy.